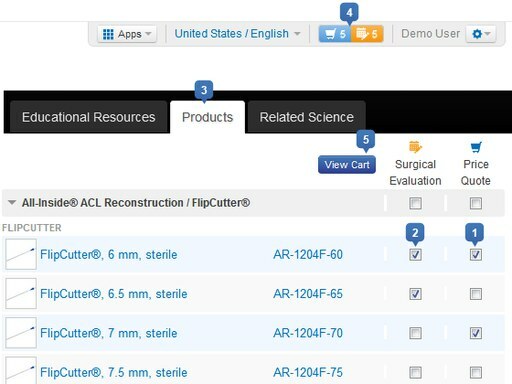 The ACL ToolBox was designed to fit the needs of modern ACL reconstructions. 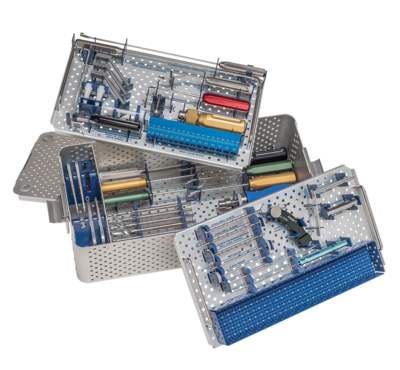 The streamlined three layer case contains all the reusable instruments needed to complete the majority of common ACL procedures and contains an additional "pin mat" area for customization. The ACL ToolBox now contains the RetroConstruction™ Guide System with commonly used ACL marking hooks such as the footprint guides for femoral ACL drilling. Variable drill sleeves are included for all techniques and can be used with standard 2.4 mm pins, 3.0 mm RetroDrill® Pins and the 3.5 mm FlipCutters®. Everything needed to complete an ACL reconstruction can be found in this case including graft harvesting, notch preparation, tunnel drilling, graft passing and fixation.